This section is our detailed Fulfillment by Amazon How to Guide - showing you How to Get Started Selling FBA and make money online. FBA stands for 'fulfillment by Amazon.' This is a service offered by Amazon where you use their fulfillment center as your own personal warehouse. You send your items there and Amazon takes care of selling them for you. When you use FBA, you don't have to take orders, pack items and ship them yourself. This means considerable labor and cost savings for any business. You've got to pay fees and commissions, but it's nothing compared to the manpower costs of doing your own order fulfillment. The system makes it easy for anybody to become a seller on Amazon. While there are lots of benefits, keep in mind that FBA has its downsides as well. When you use Amazon as your fulfillment house, you give up control to some extent. If they damage books or ship them late and the customer isn't happy, it's your seller account that gets the negative feedback. This guide will give you the tips to help you make sure you're informed on the cons as well as the pros before you get started. Do you have heavy boxes full of books to drag down to the Salvation Army? Well, don't start loading up your car with them yet. Instead of dumping them off where they'll be sold for a nickel, why not sell them on the world's biggest online marketplace and make some good money? Amazon has a program called 'fulfillment by amazon' (FBA) where they sell your books for you. All you have to do is send your books to them and they do the rest. This is a great way to get rid of your old books and make some money from them; it's also an excellent method for starting your own online business. The greatest advantage of using Amazon is that it's a name everybody trusts. If you created your own website to sell books, nobody would buy. But Amazon has a stellar reputation for fast shipping and quality customer service. Your books are bound to sell. When you use fulfillment by Amazon, they basically do all of the work for you. They take the order, pick the books, pack the books and ship the package. This saves you time, headaches and trips to the post office. If you've ever used Amazon, you know that there are zillions of sellers there selling zillions of titles. Using fulfillment by Amazon actually gives you an edge over those other sellers. All items sold through FBA qualify for Super Saver Shipping and Amazon Prime. This means that you can undercut your competitors and still make better money because they have to pay shipping and you don't. Your items also get listed at the top even if they cost more. You've probably seen all of those books priced at one cent. Even though your listing may be a couple of dollars, it'll appear before all of those. This makes is much more likely that they'll be chosen, especially considering there are no shipping costs. When you use FBA, you give your customers all kinds of options. FBA listings are eligible for Next Day shipping and Second Day shipping. They can also choose to have them gift wrapped. Amazon sells your books 24 hours a day all over the world. They also handle customer service for you, which is a whole other headache most folks don't want to deal with. Although, one downside of this is that you have to agree to Amazon's return policy, which is pretty generous for the customer. 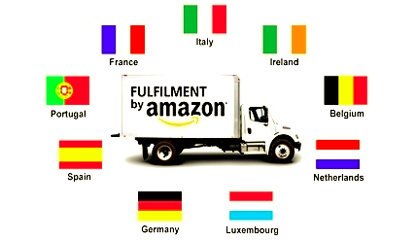 Finally, the fulfillment by Amazon system is designed to be as easy for you as possible. They offer a free webinar that tells you all about it and helps you get started. There's also a help forum and lots of other resources provided by Amazon to help answer your questions and give you tips. Fulfillment by Amazon is an easy way to sell old books or other goods through the world's most recognized online merchant. They act as your fulfillment house, storing your goods, taking orders, packing and shipping them. It's an easy system and the only thing slightly tough about it is figuring out exactly how much you're going to make on each sale. Amazon has three basic fees for selling items on FBA. These are the commission to Amazon, the variable closing fee (VCF), and the per sale closing fee. Items for fulfillment by Amazon have basically the same commission fees as regular items. The commission fees range from 6% to 25% depending on the category of the item. For books, Amazon takes 15% of each sale. Most other categories are 12% to 15%, with electronic devices being lower. The variable closing fee also depends on the categories. For books, video games, and video game consoles, it's $1.35 for each item sold. Music items and videos are $0.80. Other stuff has a lower variable closing fee but you also have to pay by weight. This is added to the VCF and it can become quite a lot if you're selling items that are heavy (In fact, the fees can actually exceed the price, so watch out). You pay a per sale closing fee for each item of $0.99. If you have a Pro Merchant account, you don't have to pay this. A Pro Merchant account is $39.99 per month and it lets you do as many transactions as you want without paying this fee. One of the downsides of FBA is that you have to pay storage fees for your items at their warehouse. If you have items that don't sell quickly, you'll end up paying for them. However, it's not a whole lot. They charge $0.45 per cubic foot per month from January to September and $0.60 per cubic foot per month from October to December. That's the time when space is the most in-demand. They also charge a yearly storage fee on top of that for anything that sits in their warehouse for a year or more. This fee is $22.50 and you can have it waived if you notify them early enough that you'd like the inventory destroyed or sent back to you. One more thing to understand about the costs of using FBA is that you also have to pay to ship your books to Amazon. This is not reimbursed by them, so make sure that you factor this in. How much depends on how far you are from the nearest fulfillment center, but it's not usually more than about $0.50 a book. Whether or not you can make big money with fulfillment by Amazon depends on the value of your books minus the fees. Take this into account and do some selling on a small-scale before you jump right into it and invest lots of time and resources. The first step is to sign up for a fulfillment by Amazon account. 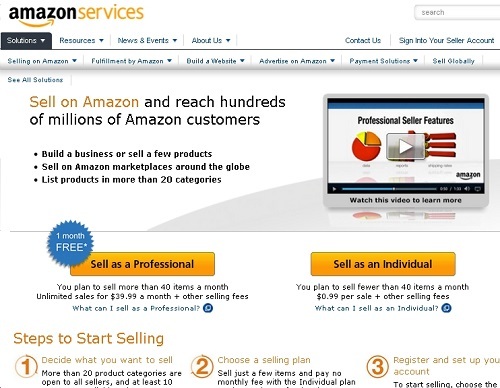 If you've already got an Amazon account, look around on it and you'll see where you can become a seller. If not, sign up for an Amazon account first. You'll need a business name, location, street address, credit card number, and contact phone number. Fulfillment by Amazon listings are different from regular listings, so if you already have books listed there, convert them. Check the ISBN to make sure it's the right book. If you want to create a listing from scratch, Amazon will walk you through it. You have to fill out detailed information such as weight, condition, and description. This takes time at first but you'll get used to it. Once your listing is made, it will give you printable labels. Print these out and affix them to the books that you're going to sell. It'll also give you package labels to put on your box. Look on Amazon's website to find the nearest fulfillment house to where you live and send your books. Once you've sent your books, let the system know that they're on their way. On your listing, click where it says 'Ship and Track' and you can see where it is. The rest is up to Amazon. They'll unpack your shipment and add it to their inventory. Once that's done, your books are available for customers to order. When they put in an order, Amazon picks, packs and ships. The money gets credited to your account. Amazon has an easy to use interface where you can monitor all of your sales and track your listings. It lets you know recent activity or you can search for certain items if you're wondering how they're doing. One of the most obvious and popular items for people to FBA are their old books. So, do you have any books you want to sell with fulfillment by Amazon? If so, all you need to do is get them ready to ship, ship them, and let Amazon do the rest. One word of warning though – if they're not properly prepared according to Amazon's guidelines, they may be rejected. That means they get sent back to you and of course, you pay all costs. The first step is to clean books if necessary and judge their condition. By cleaning books, I don't mean shampooing them or taking a vacuum cleaner to them. I also don't mean taking a jumbo eraser and getting rid of all the underlining. When it comes to cleaning books, just use your common sense. Get the dust out of them and clean covers if there's a funny stain (for example, snot on a children's book!). Make sure you use cleaners that are safe for books. Judging condition means just taking a good look and honestly assessing what shape the books are in. I say 'honestly' because if you're too far off the mark (for example, you say that a book that's been gnawed by your dog is 'like new'), it'll get rejected. New – It's new. No-brainer there. Like New – You know that it's not new, but a customer wouldn't know that. In other words, there are no signs of wear, no markings, and no creases or anything on the spine. Very Good – The book has obviously been read but there's no damage or markings. The cover, spine, and pages show minimal wear. Good – There's some noticeable wear. The spine may be creased. There might be a little marking on some of the pages. Acceptable – It's been through a lot but it's still readable. Markings may be pretty severe but the text should still be readable. Unacceptable – It got rained on, mold-damaged, eaten by your dog, run over by a semi, shot out of a cannon, and used for toilet paper during a camping trip. In other words, don't bother sending it; chuck it in the nearest dumpster. First of all, in case you've never shipped a box of books before, there are some general guidelines to follow. Pack books as tightly as possible and don't package any books together (for example, if you have a multi-volume set, pack each individually). Place books spine down wherever possible or lay them flat and stack. Never put them spine up because that'll wear away the edges of the pages. Use small paperbacks and thin books to fill in the gaps. Stuff newspaper, popcorn or some other packing material where no books fit. You don't need to shrink-wrap or pre-wrap unless the books are first editions or something else really valuable. Make sure that your books are labeled correctly or they may get returned. Print the labels Amazon gives you from their 'Seller Central' page. These labels will have the book's info on them so it's easy to match. You'll also get labels to put on your box. Make sure they're placed flatly on the box. Don't wrap them around any corners or place them in any way that they'll get creased. Cover up all UPCS or other barcodes with labels or black them out with a thick marker. The postal folks will get confused. Finally, before you send off any books to Amazon, keep records of what you sent when. They've got all kinds of sophisticated ways for you to track your items once they unpack them at the fulfillment center, but your own records will help if there's a problem before your books get there. Sadly, if you don't know how to price your books, you may end up not making anything at all. Everybody has their own pet pricing strategies and you'll develop your own unique methods over time, but here are some of the basics. This is really tricky at first but it becomes second nature. I suggest writing down a formula so that you can just plug in the numbers for all of your future shipments. Amazon's Commission – This is 15% of the book price. 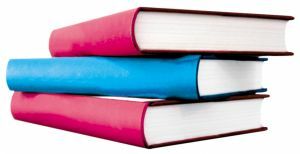 Variable Closing Fee (VCF) – The variable closing fee is $1.35 flat rate for each book. Per Sale Closing Fee – This fee is $0.99 unless you have a Pro Merchant account. 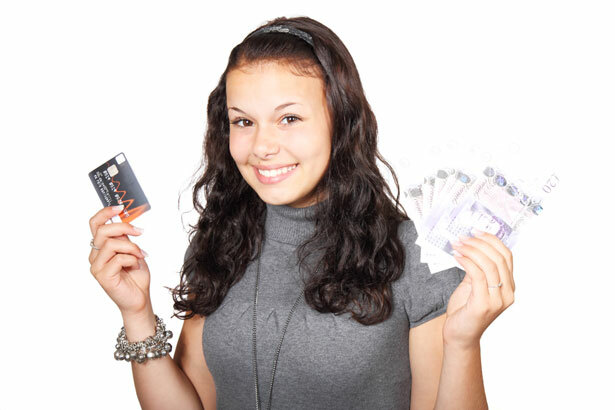 If you have a Pro Merchant account, you don't have to pay it. Unless you're selling rare or collectible looks, you should price your books low and sell fast. The idea is to move volume. One of the reasons for this is that you have to pay storage fees on items that don't sell. The other reason is that it's just the nature of the game. People don't pay an incredible amount of money for used books. Your strategy should be to price low and move them quick. When you start looking at listings, you'll see lots of folks selling books super-cheaply. You'll even see many listed for one penny. Then, you'll see Amazon's own price which is usually something like $10 or more. This presents a great mystery – how can Amazon keep selling books for $10 when they're being undercut by penny sellers? The reason is that Amazon can sell to Amazon Prime customers. These are folks who pay a yearly subscription for free, fast shipping. One great strategy that lots of folks share on forums and in blogs is to target the Amazon Prime buyer because your FBA books are also eligible for their free shipping. This allows you to price your books higher and avoid competing with the penny book folks. I know that you're probably psyched to get started making big bucks with FBA. But wait – at first you're going to have to settle for a couple dollars here and there. The reason is that on Amazon, everything is about feedback. When you're a first-time seller and you have no feedback, it's going to be difficult to compete with folks who have been doing it for years. I recommend taking a loss on your first few FBA sales. Think of it as a community service. Price your books as low as possible so that you can still break even. The reason is that you've got to go above and beyond what others are offering to make sales with no feedback rating. Once you get some feedback, you can start charging more. When you sell books through FBA (fulfillment by Amazon), your customer feedback is really important. After all, there are folks on Amazon selling books for as little as a penny a pop. If you're charging more than that, you need to make sure that your feedback rating is where it should be. So, what can you do if you get bad feedback? Amazon is the world's most trusted online marketplace, but you'd be surprised by how often they goof up and screw up orders. When they ship the wrong item to the customer, it's you the seller who gets the bad rating. Lots of merchants have found that starting FBA actually lowered their overall feedback rating because of mistakes Amazon made. The first step is to read the comment and figure out whether it was your fault or theirs. Unfortunately, if it was Amazon's fault, they probably won't remove the negative comment. Of course, they'll remove anything that contains obscene language or personally identifiable information. They may remove it if you can get the customer to understand that it was the warehouse and not the merchant that screwed up, but this basically never happens because customers don't understand nor care how it all works. You just have to live with Amazon's mistakes and that's one of the downsides of FBA. If Amazon doesn't remove the comment, the only person who can is the buyer. If you messed up their order, your only real recourse is to contact them and ask them to remove it. Surprisingly, sometimes they will. Many people don't understand how the system works. For example, if you have a high rating and they give you 3 out of 5 stars because they were overall happy with it, they may not realize that this hurts your rating and actually does you a disservice. One of the disadvantages of FBA is that you really don't have control over your customer feedback. However, you do have control over how you prepare and ship your books. All you can do is to make sure that you're doing everything right on your end. * Make sure you accurately assess the condition of the books before you ship them. * Write the book's condition clearly in the description. Unfortunately, lots of buyers order without paying attention to condition and are then surprised to find it's less than perfect. * If you're selling used items, make sure that the previous price tag is removed. It'll definitely fetch you a serious complaint if the customer sees that the previous price was lower. * Make sure all games, CDs, videos and other media items are in their cases. * Check all media items for scratches. At the end of the day, there's not a whole lot you can do about negative feedback. If you're selling FBA in addition to your own merchant services and it's ruining your seller feedback, you might consider giving FBA the boot. Otherwise, just accept it as part of life when you use fulfillment by Amazon. Everybody who starts FBA (fulfillment by Amazon) makes their fair share of mistakes. If you're a big boy or girl, you can chalk these failures up to learning experiences. But if you do your homework and carefully research before you get started, you can avoid making some of these costly errors entirely. Here are a few of the most common mistakes FBA sellers make so that you can learn from them. When you've got books to sell, spend some time looking at them to determine their condition. If you list the wrong condition, Amazon will send the books back at your expense. The best way to judge condition is to look at these guidelines and get them into your head, and then take all of your books and put them into stacks accordingly. Unless you've got rare or collectors' books, you should price them as low as possible and focus on moving quantity. The best pricing strategy is to take the Amazon price (not the penny sellers') and undercut it slightly while making sure that you'll still turn a decent profit. Don't get greedy and list a book for what you think it's worth; price it according to what Amazon thinks it's worth. 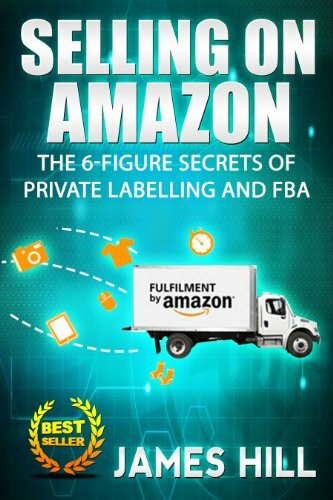 When you first start doing FBA read and reread Amazon's guidelines about labeling and follow them to a T.
If you don't, you could lose serious money. Lots of people make the mistake of mislabeling or forgetting to add the tracking label. If your labels are screwed up, they'll send everything back at your expense. If you don't affix a tracking label, your customers can say that they never received it and there's nothing you can do. Always remember that you have to pay for storage. 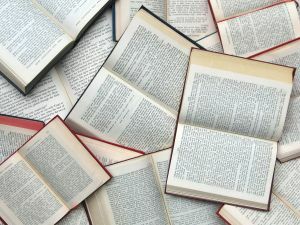 This isn't a big deal if you're keeping just a small inventory there, but it can add up if your books aren't selling. Once a year you have to pay an annual storage fee so mark this on your calendar. If you ask Amazon to get rid of the books or send them back to well enough ahead of the annual assessment date, you don't have to pay it. Read FBA forums a bit and you'll find out really quick that everybody's pet peeve is the return policy. You have to abide by Amazon's return policy, which is pretty generous toward customers. Amazon's very customer oriented which is generally a good thing, but if your books are returned, you've got to deal with them. FBA is a great way to make money if you know how to use it. Take a look at Amazon's tutorials, webinars and other resources and see if it's right for you. It seems like a lot at first, but the system is actually very straightforward. You'll get used to it quickly. Amazon's website walks you through the process to get you started and there's a helpful webinar that explains how it works. You can also find help forums and other resources to help you get your questions answered. The best way to develop your own strategy is to just get out there and do it. If you take a loss, chalk it up to a learning experience. Monitor your results and you'll start to really understand the buying habits of Amazon customers. That's how all the pros do it. Don't Put All Of Your Eggs in One Basket! Fulfillment by Amazon is a great way to make money, but I'd warn against making it your only revenue stream. Like any kind of online business, you shouldn't put your eggs in one basket. One change to Amazon's policy or guidelines and your whole business model could be thrown out of whack. Use it as one means of revenue or as a way to get your business started, and expand into other areas as well. It seems complicated at first, but it's actually quite easy and once you get the hang of it, it's a breeze. A good place to start getting more information is the Amazon website. They have a free webinar that explains the system in detail and tells you everything you need to know in order to get started. Back to HOME PAGE of this Fulfillment by Amazon - FBA Guide section of the site.